This is a rare opportunity to own one of these special homes in this beach front gated community in Shell Beach! Located in a complex of only 12 units, this home offers wonderful views, privacy, security and lifestyle. Located near beach access and world class restaurants. This home offers a very open floor plan with vaulted ceilings and plenty of natural lighting in all the main living areas. Beautiful views may be enjoyed from Port San Luis to Point Sal. Listen to to sound of the waves from your private master suite and main living areas. Private sunny deck for enjoying the wonderful views and wildlife as they make their way up and down our beautiful coast line. 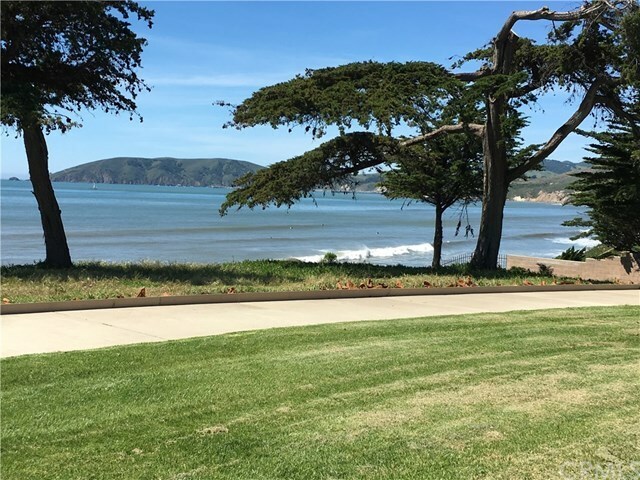 Wonderful parklike lawn area with gorgeous Monterey Cypress trees where you can watch surfers, whales and beachcombers below. The gated entry in this complex makes this location very private and quiet. You feel like you have just entered paradise.